Blockcloud (BLOC) is an innovative IoT blockchain architecture connecting every dots of your life. The period of Blockcloud token sale isn’t set yet. On August 17, the Blockcloud team announced a competition “Show my love to Blockcloud” in honor of the Chinese Valentine’s Day. This competition is a chance for community to win more credits. 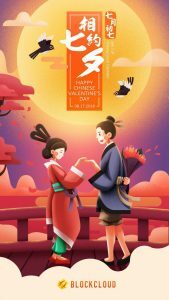 Tell the Blockcloud team what you know about the Chinese Valentine’s Day; Topics for your reference, what is the specific day of it every year? what is the story behind it? do Chinese people have their special way to celebrate today and what are they? etc. 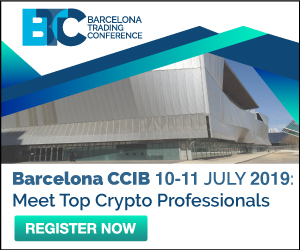 The Blockcloud team will select 10 best answers and give 20 credits for each. All the participants will get 10 points without further conditions like always. Result will be release next Monday, August 20.